• Cooks When Cloudy: GoSun's patented solar cooking technology absorbs a broad spectrum of radiation, so as long as you have a bit of sun, you're in business! • Fuel-Free: No mess. No flames. No cost. Always prepared for delicious! • Durable: Zipping up into a compression molded EVA foam clamshell, the Go was designed to absorb impacts. 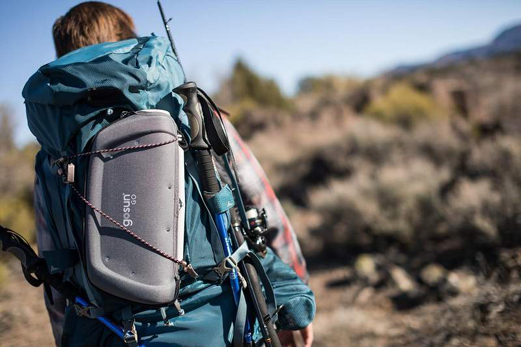 • Portable: Weighing just 2 pounds (0.9kg) the GoSun Go is ready for adventure on land and sea. 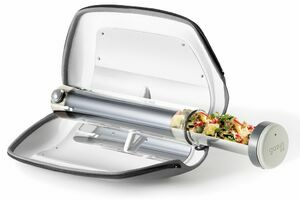 Hi, What is it made of - stainless steel and pyrex same as the solar oven? Yes, the Go Sun Go is composed of stainless steel and Pyrex. Thank you for your inquiry!